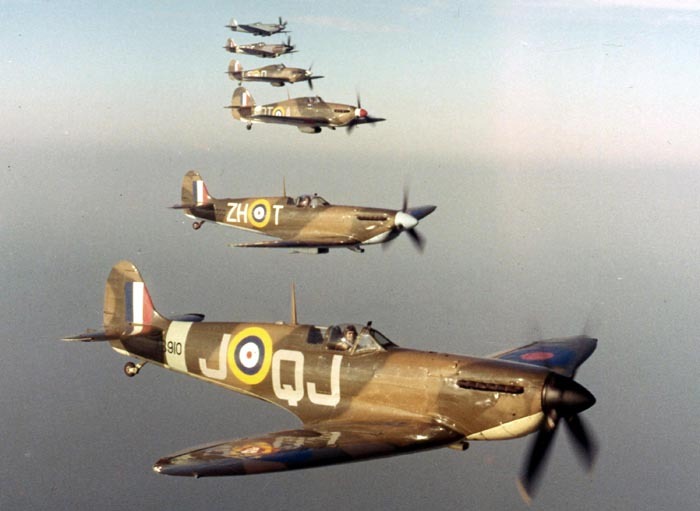 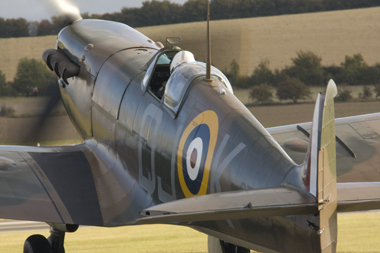 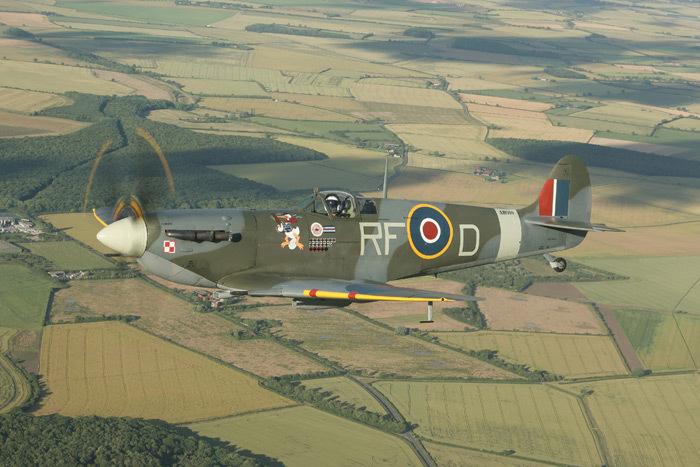 The Battle of Britain Memorial Flight operates from RAF Coningsby in Lincolnshire. 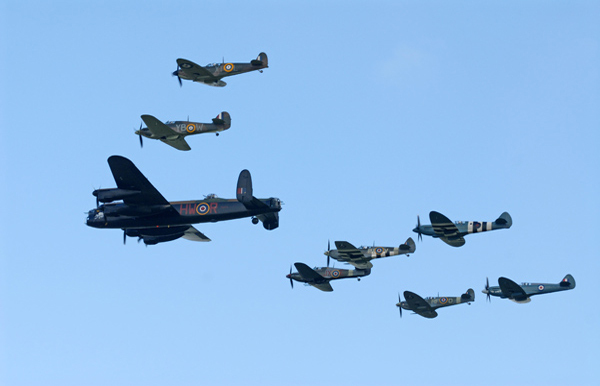 Their aircraft include a Lancaster, six Spitfires, two Hurricanes, two Chipmunks and a Dakota. 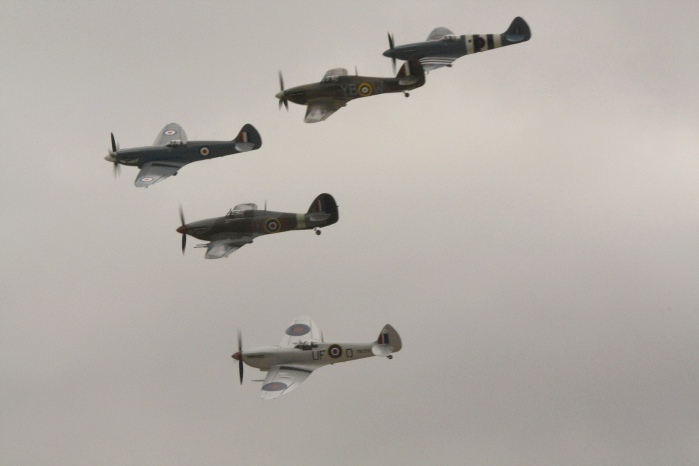 Most of these aircraft can be seen at air shows throughout the country during the summer months. 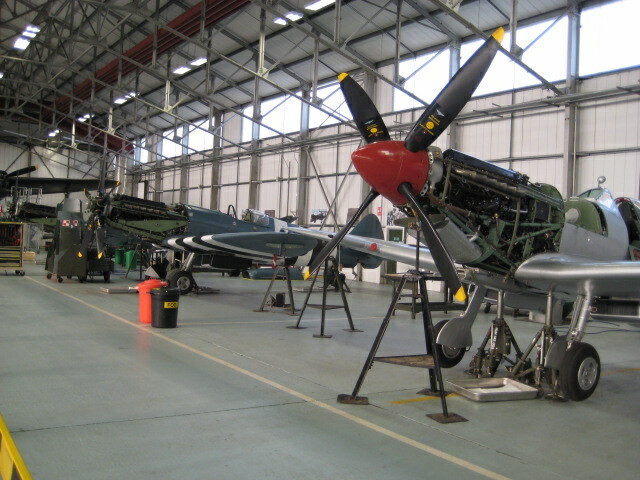 Why not have a guided tour around the BBMF visitors centre, which will give a rare opportunity to see some of the aircraft on their home territory and sometimes view the technicians working on these magnificent aircraft. 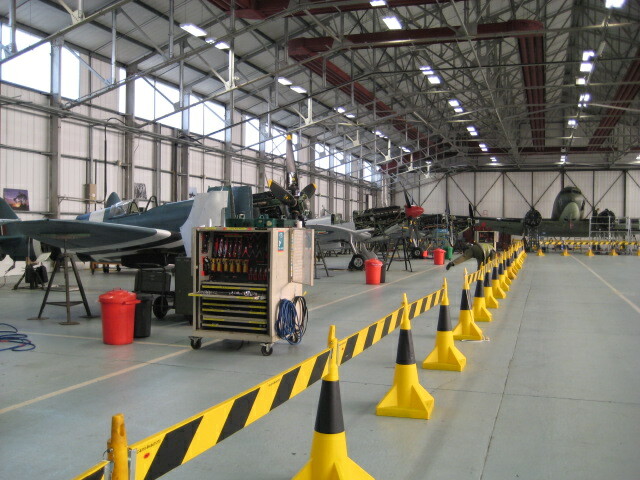 For admission fees and opening times. 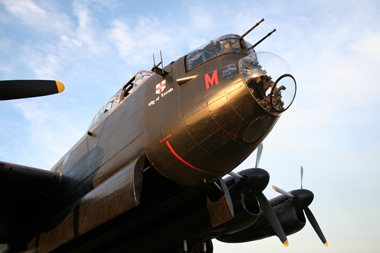 Avro Lancaster Mk BI PA474 - One of only two airworthy Lancasters in the world. 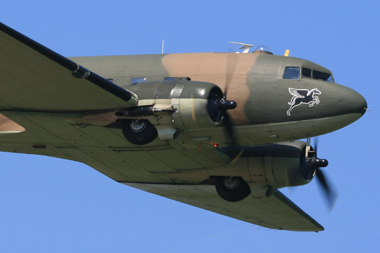 PA474 was built in 1945 and was assigned to photo reconnaissance in Africa. 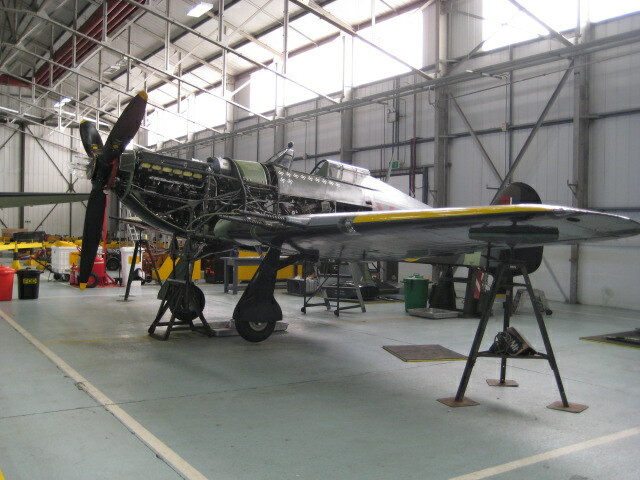 After returning to this country and being used for a variety of duties, she was due to be used as an exhibit at the RAF museum but was flown to RAF Waddington under the control of 44 Squadron. 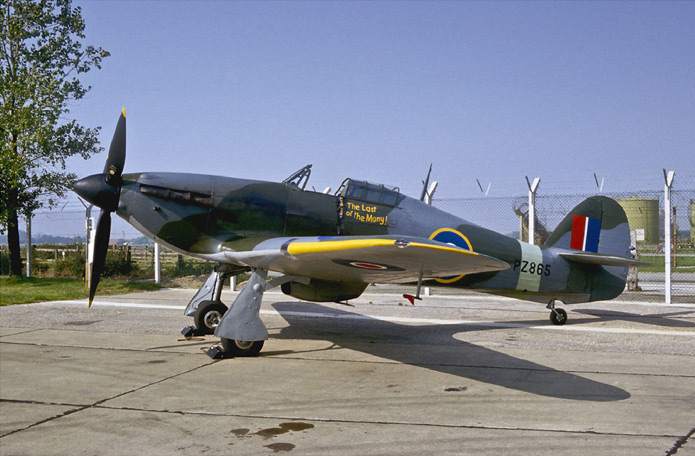 PA474 was given a complete restoration and eventually joined The Battle of Britain Flight in 1973 at RAF Coltishall in Norfolk. 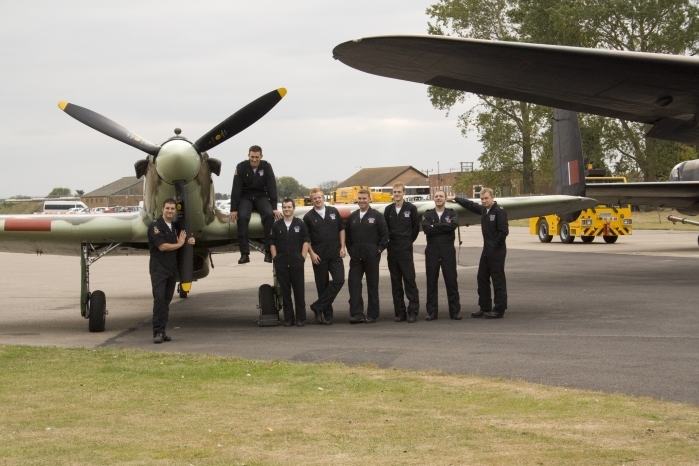 After several years at Coltishall 'The Flight' moved over to RAF Coningsby in Lincolnshire. 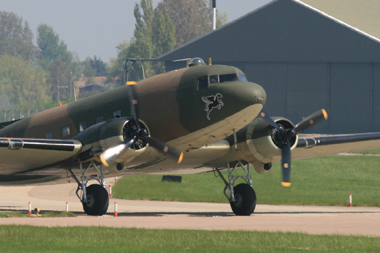 Douglas C47 Dakota DC-3 ZA947 - Douglas C47 Dakota DC-3 ZA947 was built in 1942 and spent most her operational life with the Royal Canadian Air Force. The aircraft was eventually purchased by The Royal Aircraft Establishment in Farnborough, and was used for a variety of trials work before being put up for disposal in 1992 and being issued to the BBMF in March 1993. 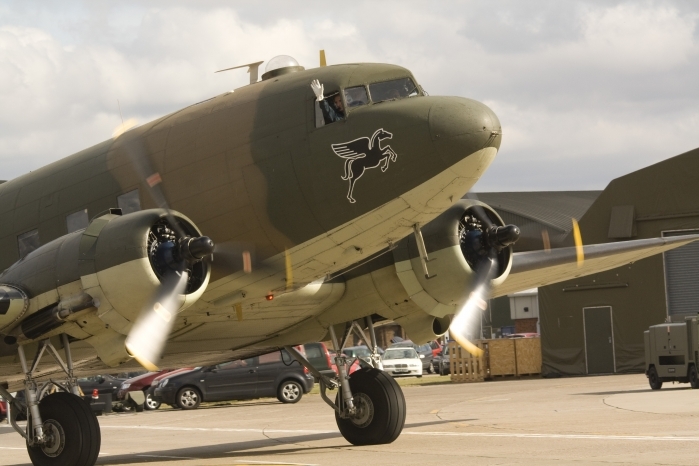 As well as crew training for the Lancaster, the Dakota is regularly displayed at air shows throughout the country. 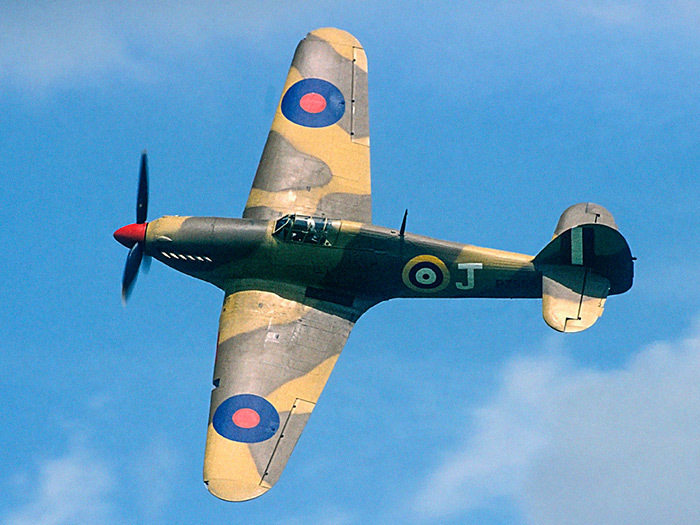 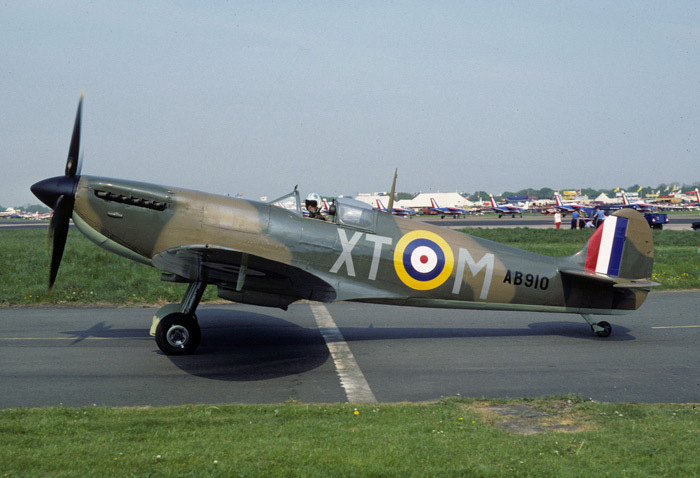 Supermarine Spitfire Mk Vb AB910 - was built in 1941 and served on the front line for nearly four years. 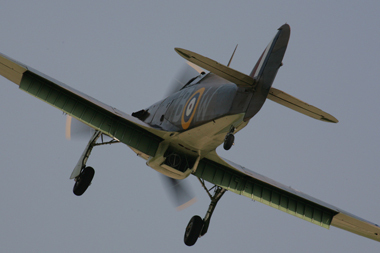 On 14th February 1945 AB910 took off from Hibaldstow Airfield with a member of the ground crew sitting on the tailplane and carried out a short circuit and landed back safely. 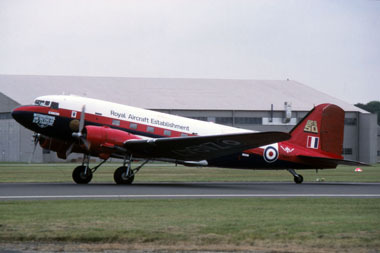 The aircraft was donated to the Flight in 1965. 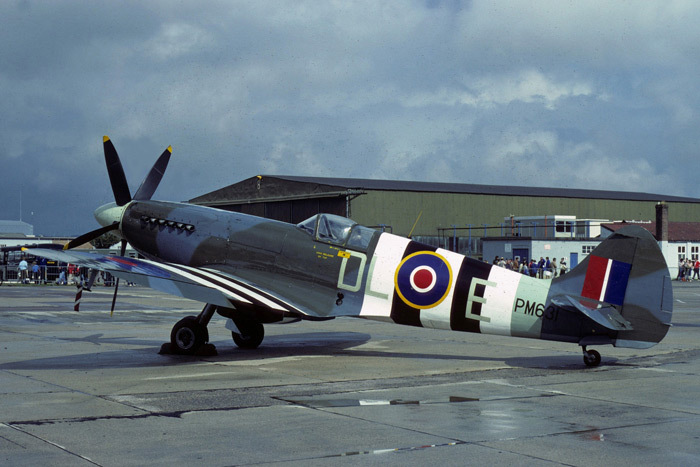 Supermarine Spitfire Mk LFIXe MK356 - was built in March 1944 and allocated to 443 (Hornet Squadron) part of 144 Canadian Wing, which was commanded by Wing Commander (Johnny) Johnson. 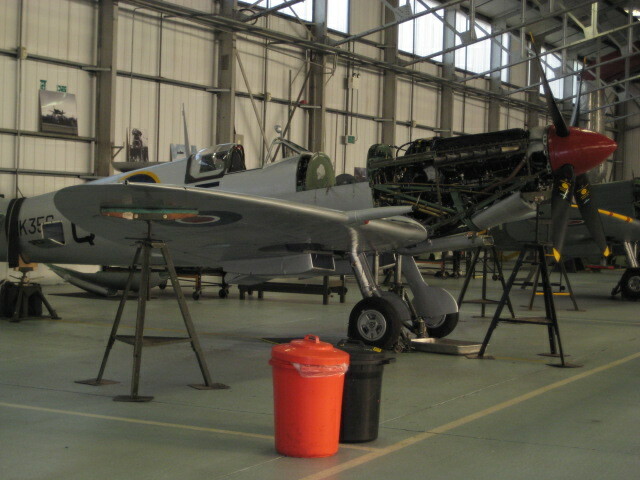 After the war MK356 was used as a static exhibit before being refurbished and flown for the first time in 53 years. 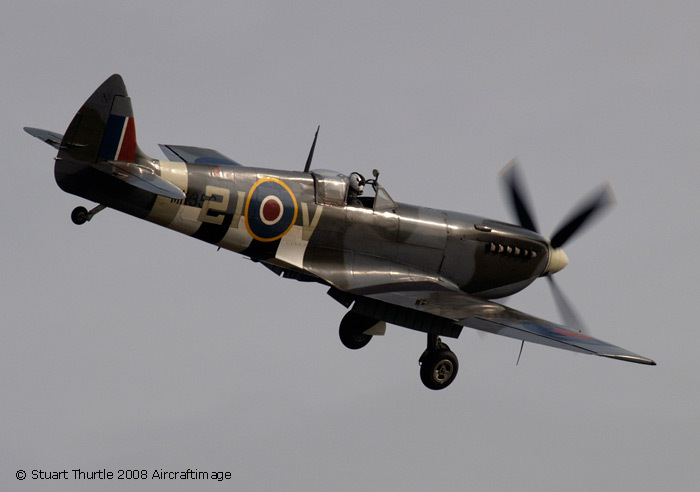 Supermarine Spitfire Mk IIA P7350 - is the oldest Spitfire in the world, and the only Spitfire still flying today to have fought in The Battle of Britain. 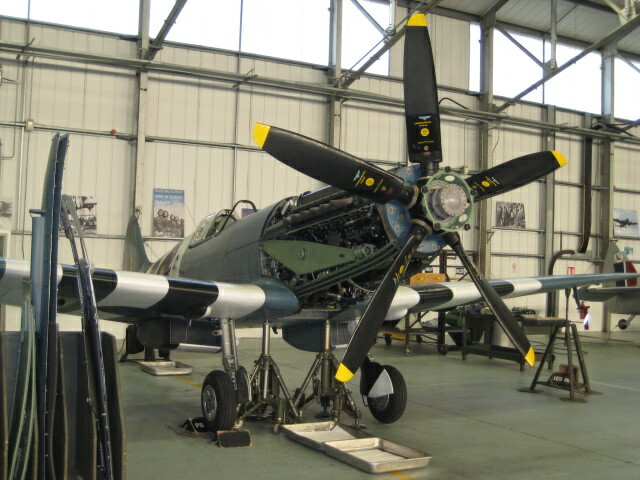 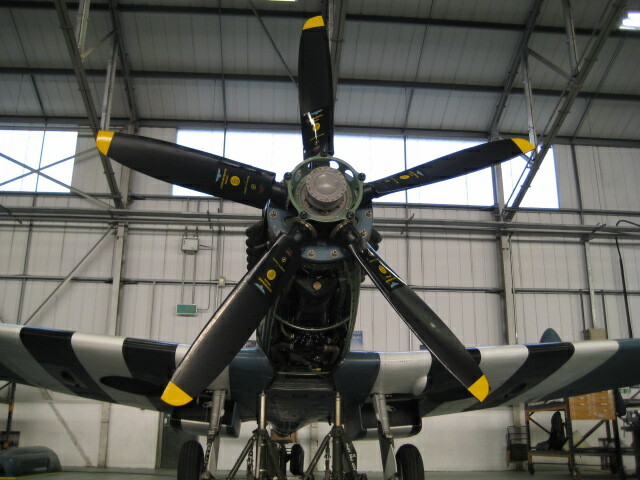 She was sold for scrap in 1948 for £25 and later presented to the RAF museum in Colerne, then restored to flying condition for The Battle of Britain film and later presented to the BBMF. 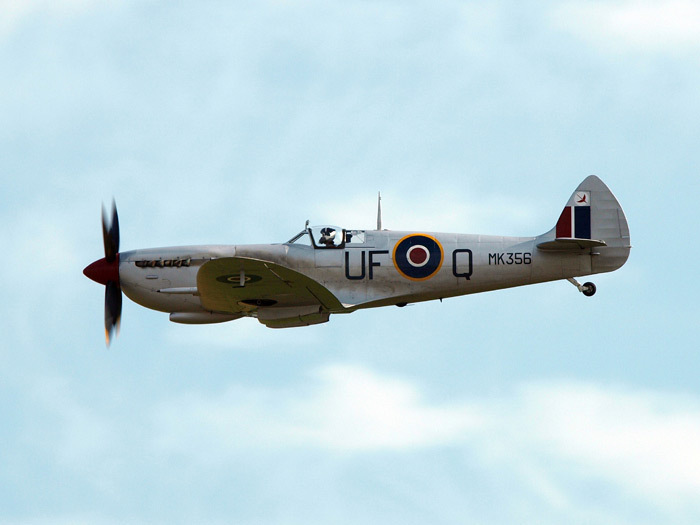 Supermarine Spitfire Mk PRXIX PM631 - Built in 1945 as a high altitude photo reconnaissance aircraft and fitted with a Griffon engine. 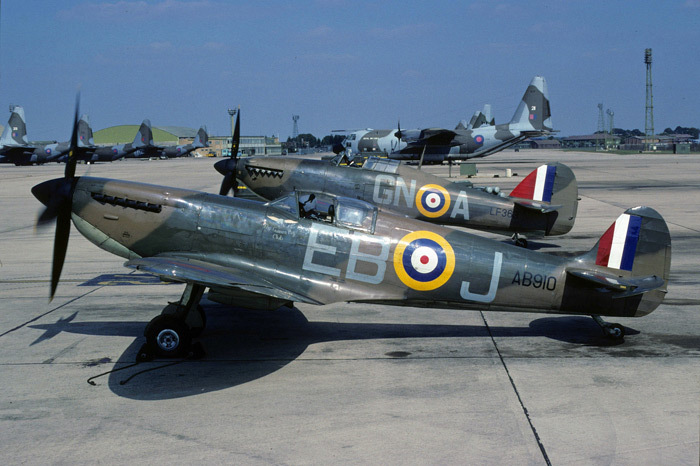 The aircraft joined the Historic Aircraft at Biggin Hill in 1957. 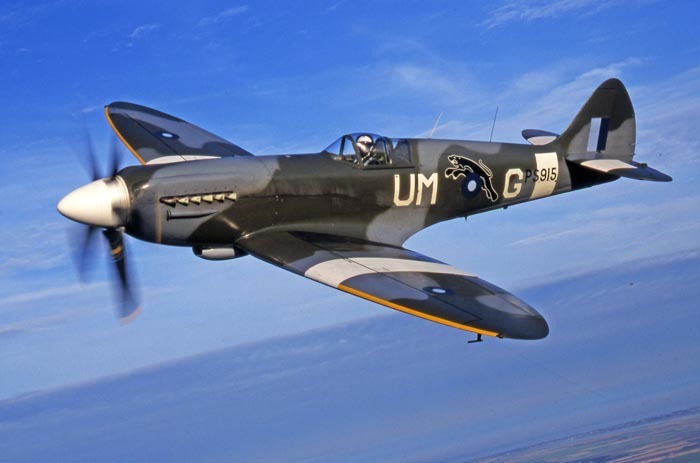 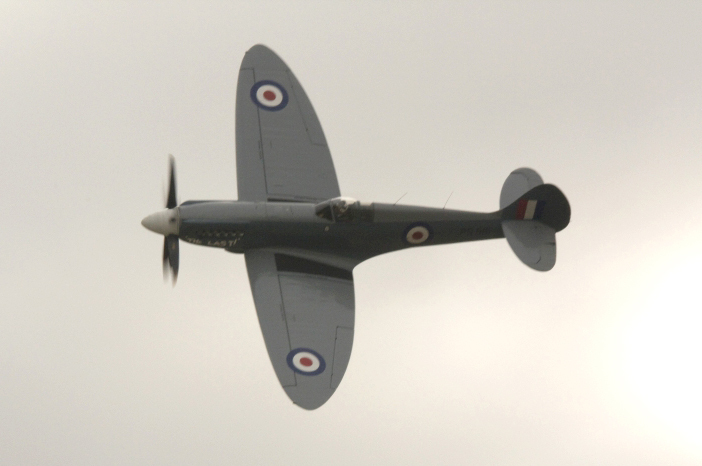 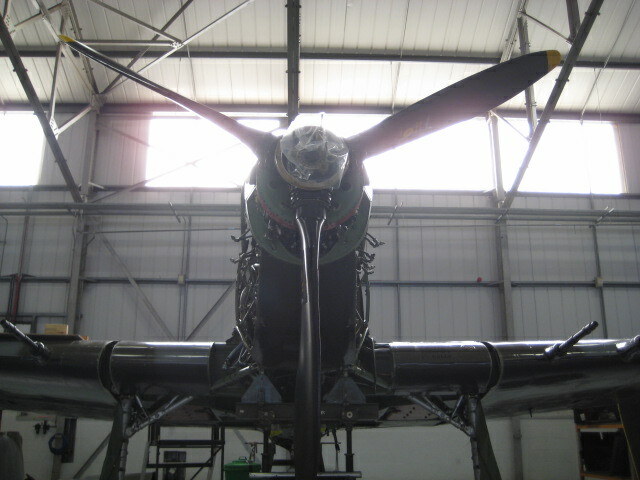 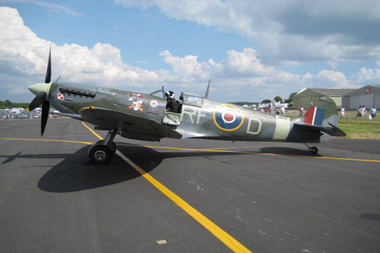 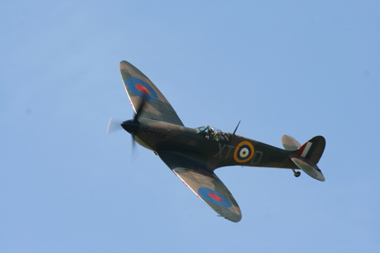 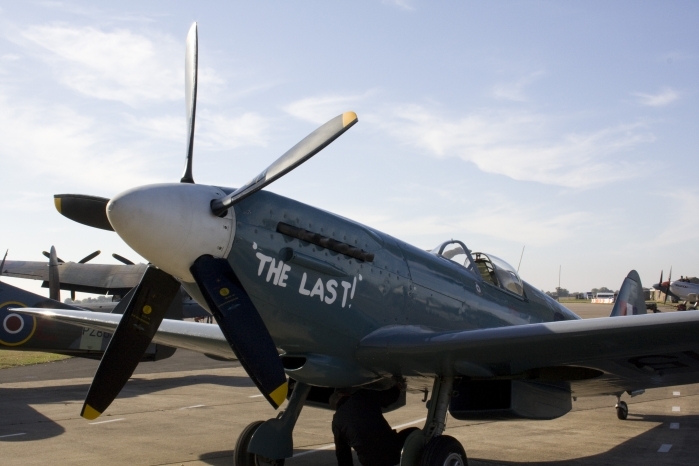 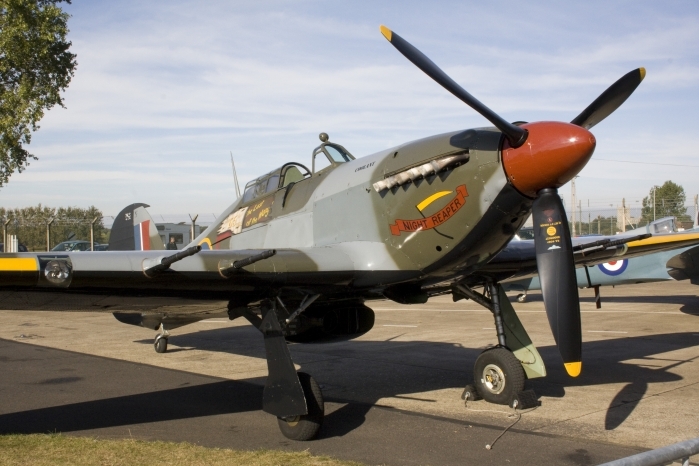 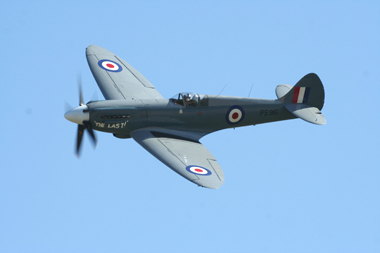 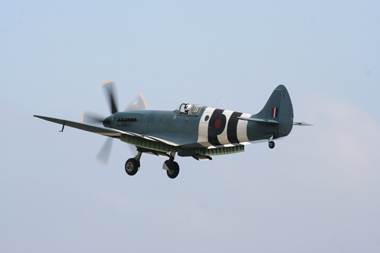 PM631 has remained in flying condition and is the BBMF's longest serving aircraft. 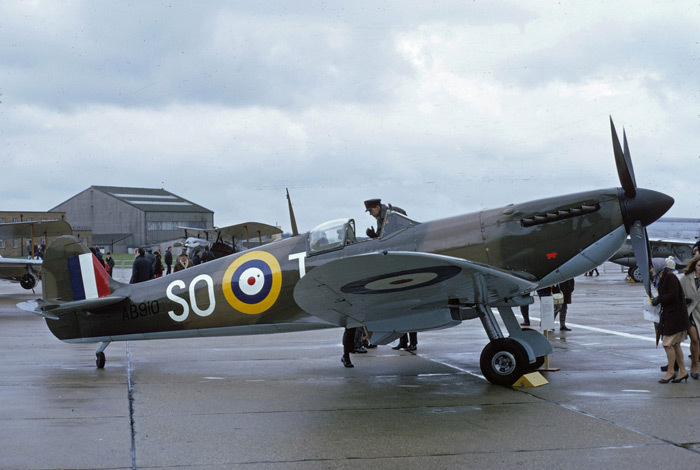 Supermarine Spitfire Mk PRXIX PS915 - PS915 entered service after the war and was used for testing new types of cameras. 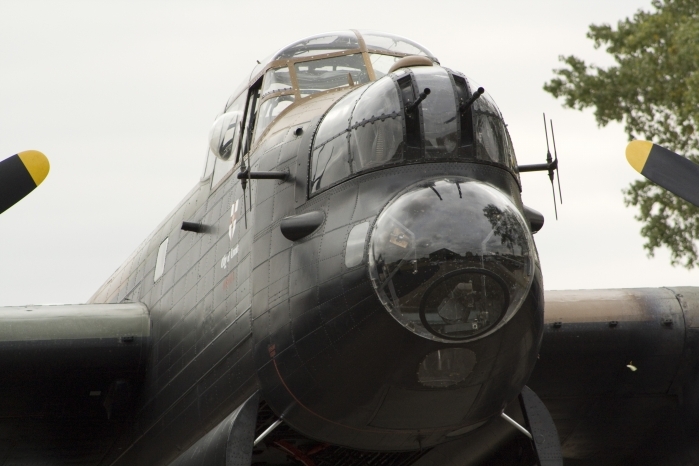 She was also used for flying strategic reconnaissance sorties in Europe and for nearly thirty years served as gate guardians around the country. 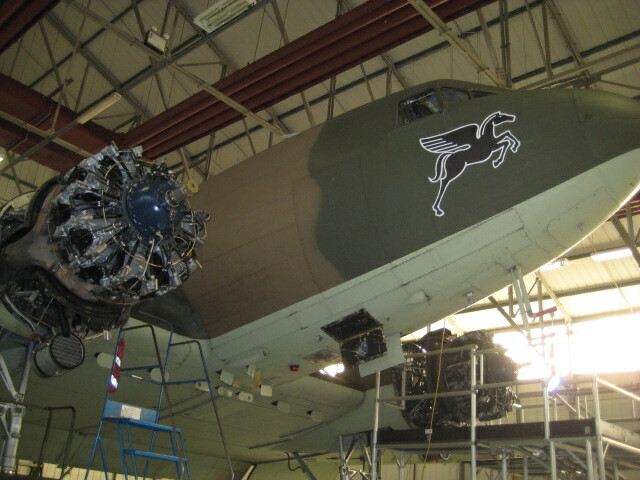 She has been modified to take a Shackleton Griffon 58 engine. 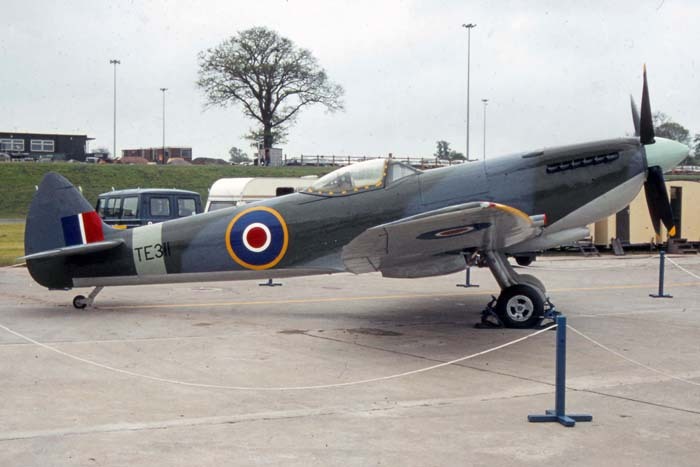 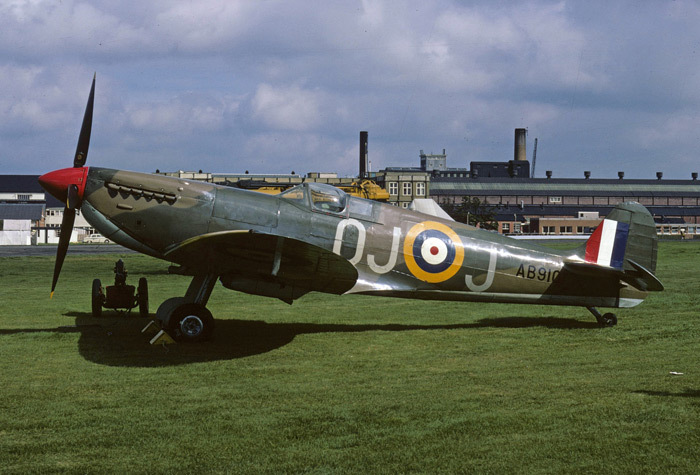 Supermarine Spitfire Mk LF XVIE TE311 - TE311 was built at Castle Bromwich and taken on charge by the Air Ministry on 8th June 1945. 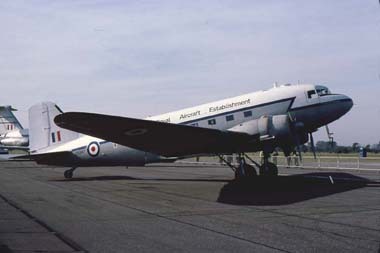 The aircraft was used by the Empire Central Flying School and later for ferry pilot training at Aston Down and Benson. 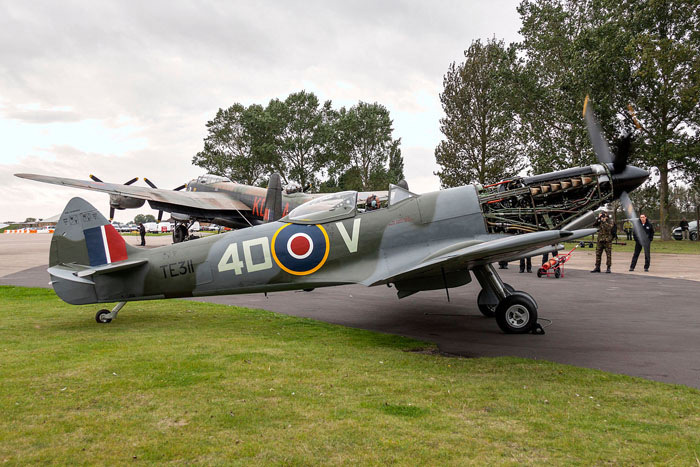 Over the years TE311 has been a gate guardian, a static exhibit at air shows and a non-flying aircraft in the Battle of Britain film. 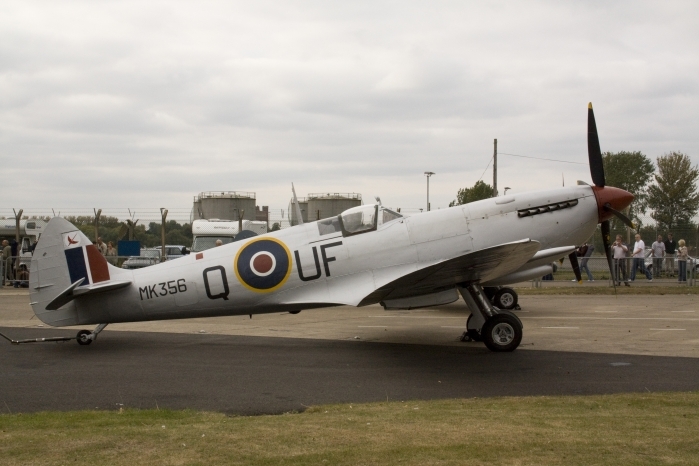 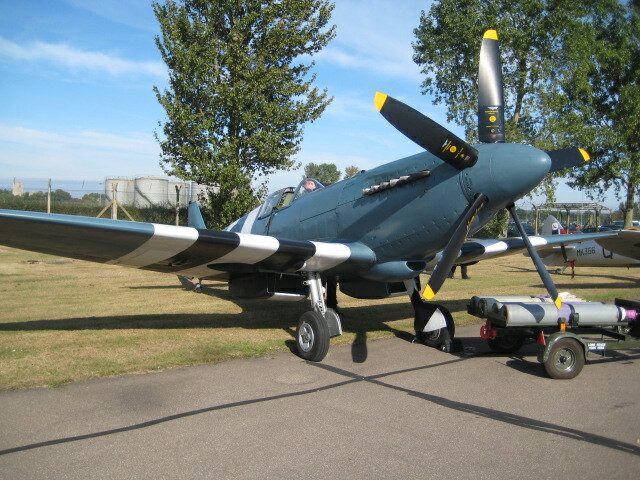 In 2009 TE311 arrived at RAF Coningsby as a spares source for the Battle of Britain Flight's aircraft. 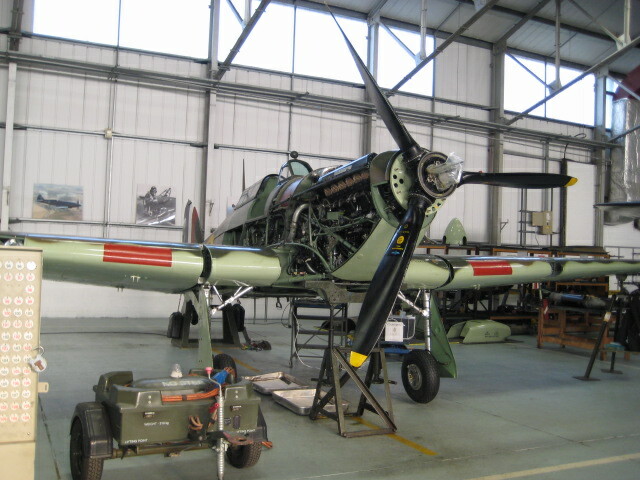 After an inspection by the Flight’s engineers it was decided that the aircraft was in such good condition it would be possible to restore it. 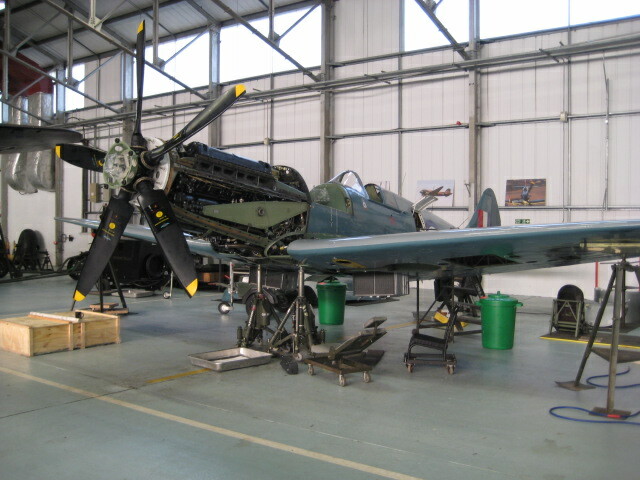 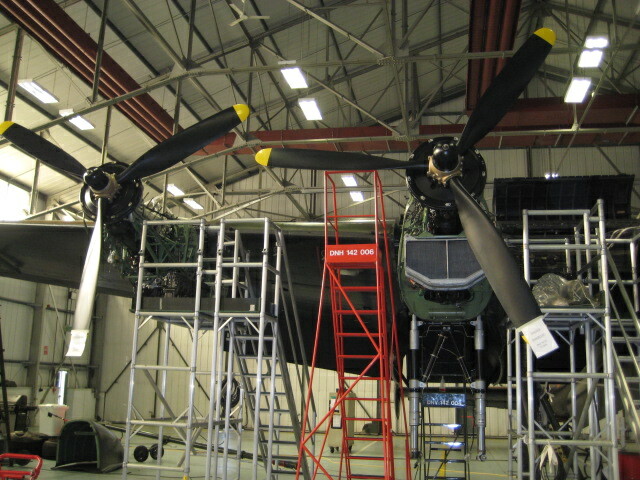 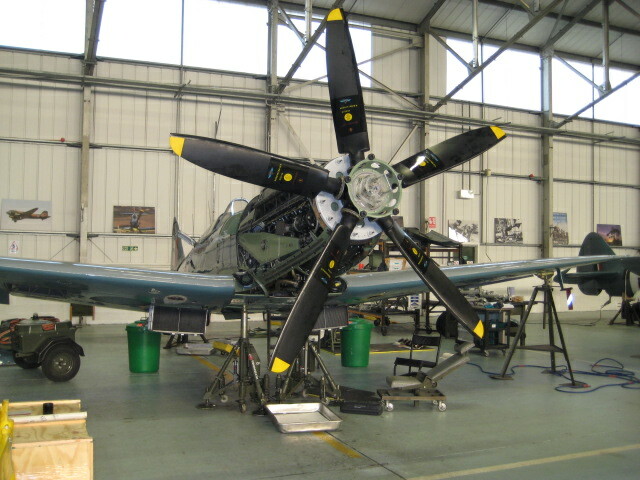 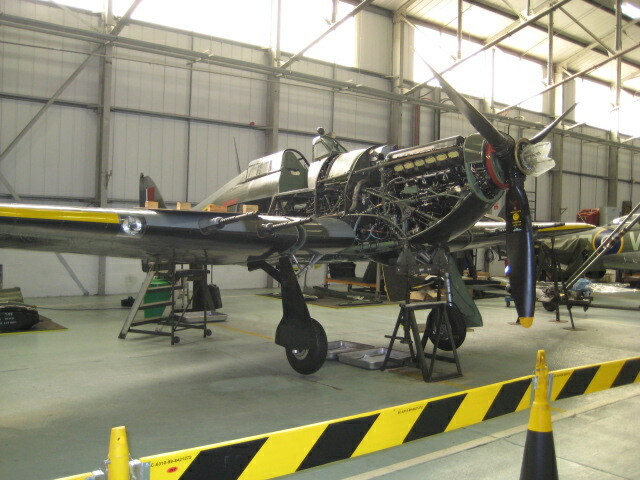 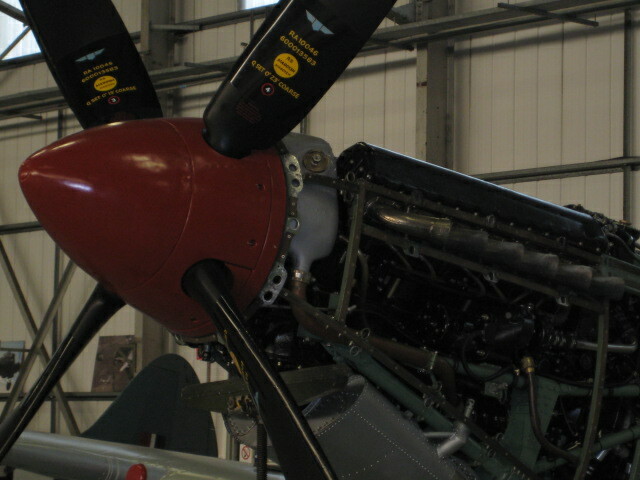 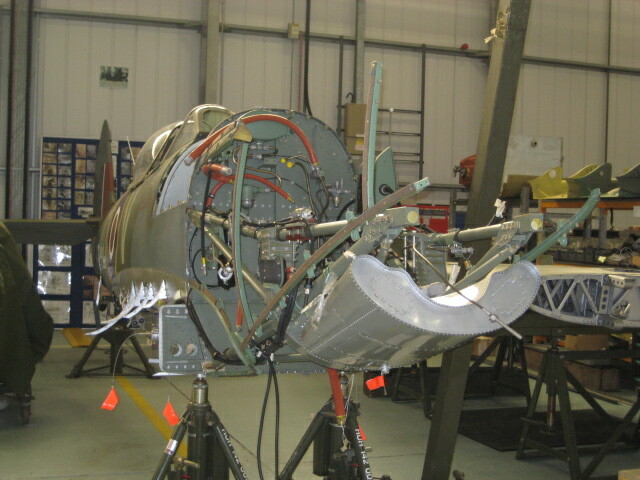 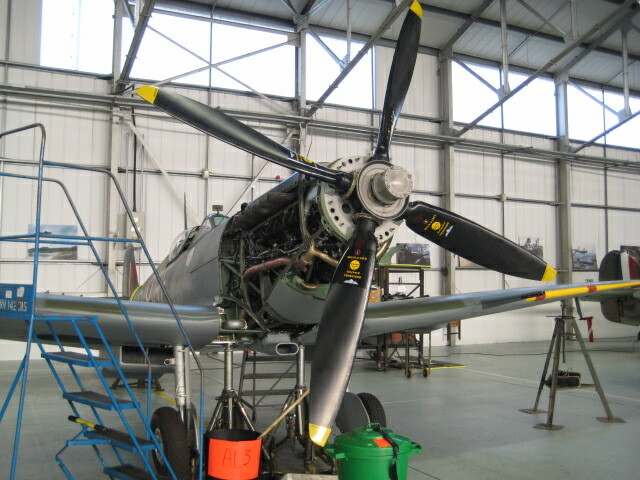 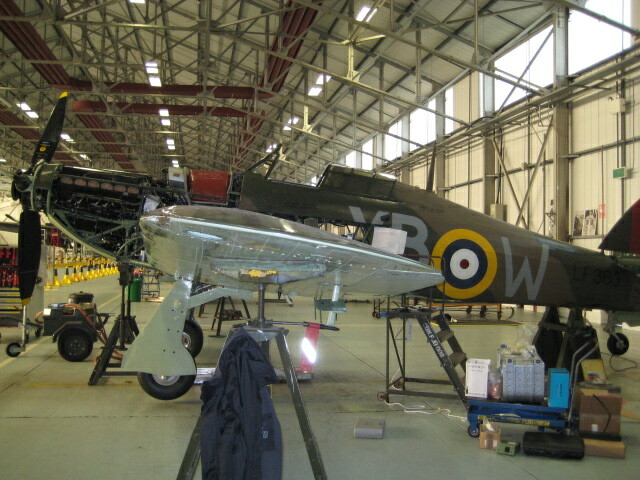 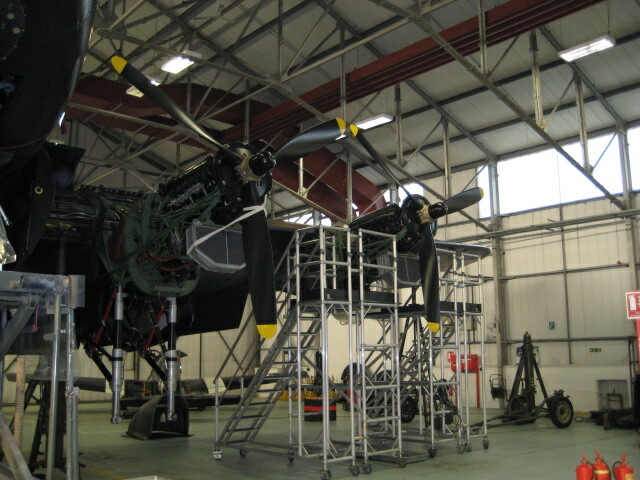 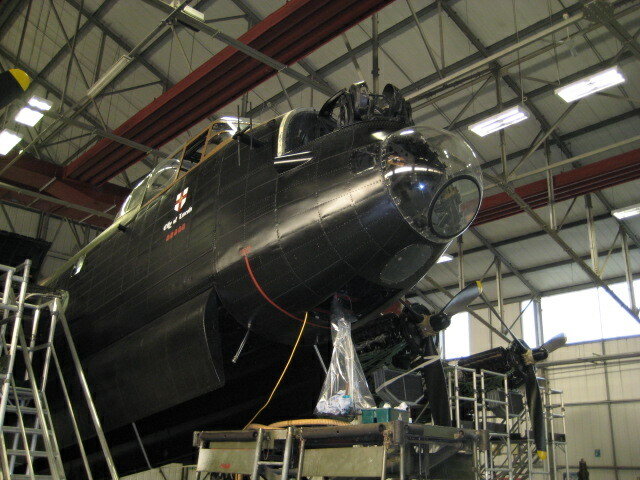 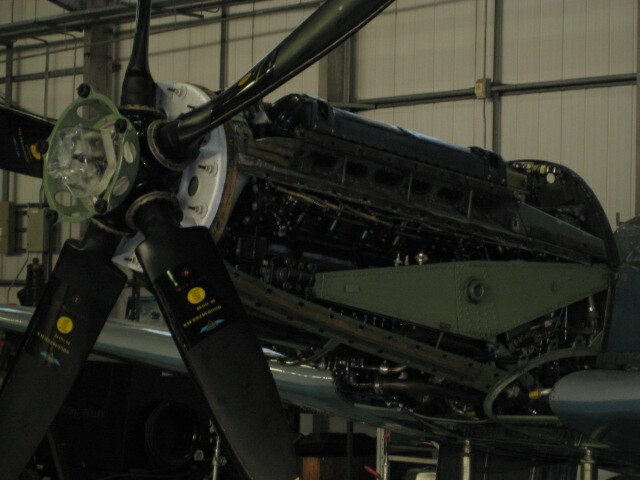 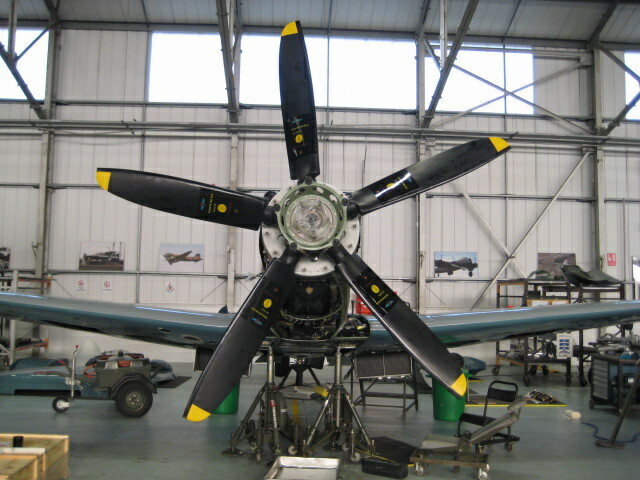 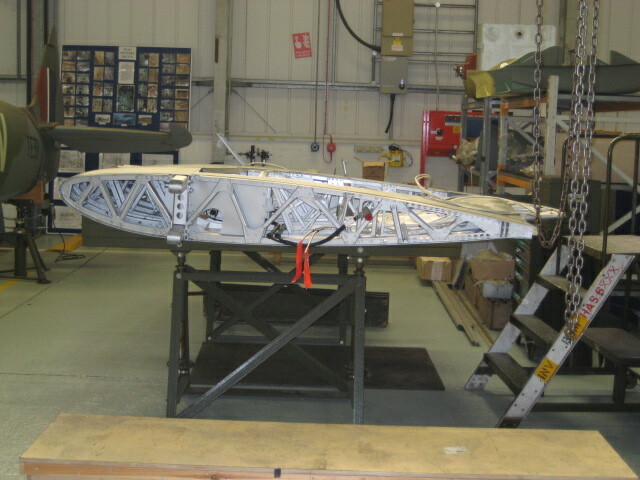 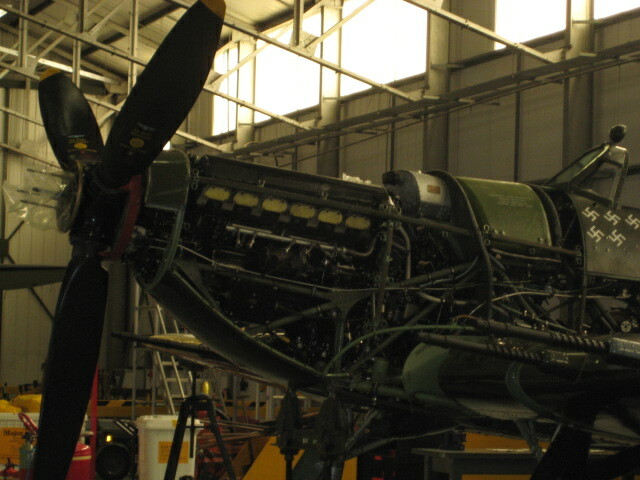 Eventually it was decided to start work on the restoration using BBMF engineers in their spare time. 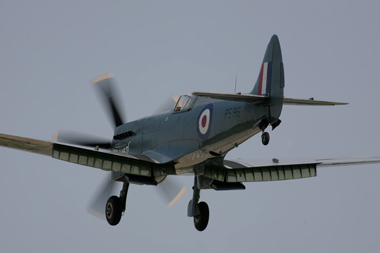 On October 19th 2012 after a twelve year restoration TE311 took to the skies again, in the capable hands of Squadron Leader Ian Smith. 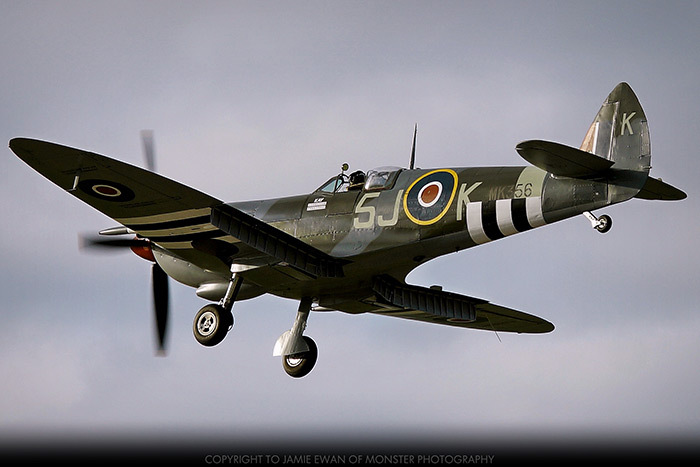 It just goes to show what a dedicated team of volunteers have achieved over the last few years and no small mention of their wifes and partners support throughout this time. 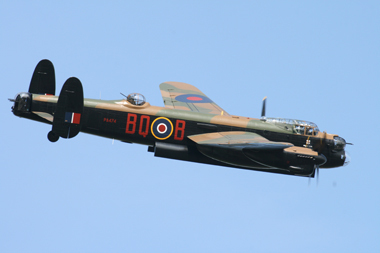 Also of note is the support from the Lincolnshire's Lancaster Association over the long years of this project. 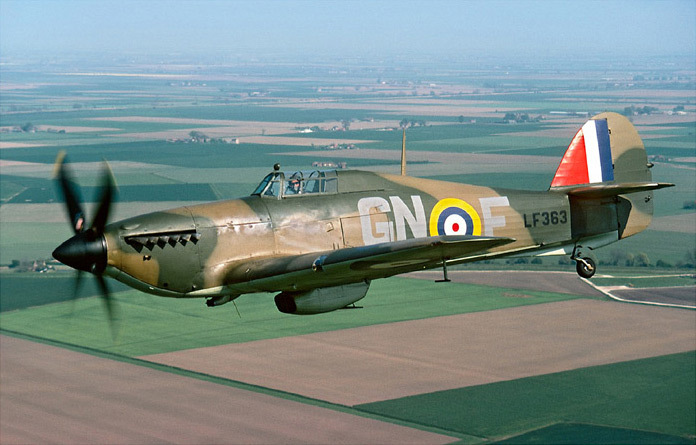 Hawker Hurricane Mk IIc LF363 - was first flown on 1st January 1944 and was on continuous service in the RAF until a crash landing in 1991 at RAF Wittering. 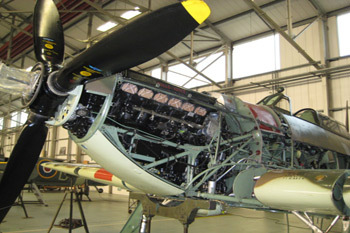 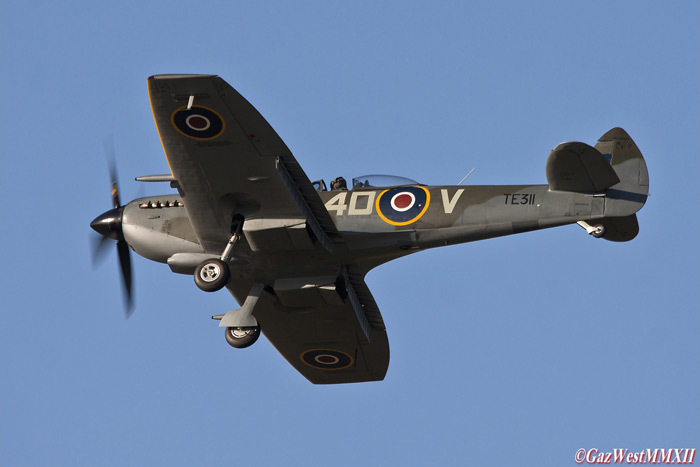 LF363 was completely rebuilt over a four year period before rejoining the BBMF. 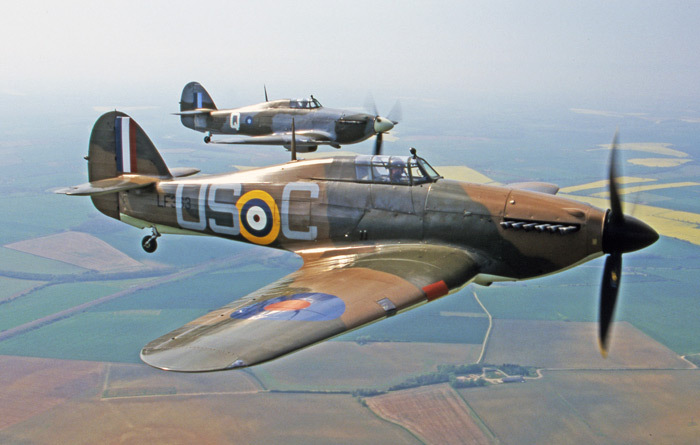 Hawker Hurricane Mk IIc PZ865 'The Last of the Many' - The last Hurricane ever built, it was used by Hawker for a variety of uses over the years and after a complete overhaul was donated to The Battle of Britain Flight and flown to Coltishall. 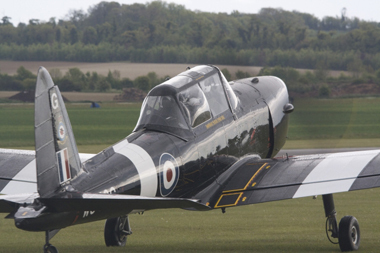 de Havilland Canada DHC-1 Chipmunks WK518 & WG486 - Two de Havilland Chipmunks are operated by the BBMF, both painted in black with white stripes and are used to convert new pilots on to taildraggers and continuation training. 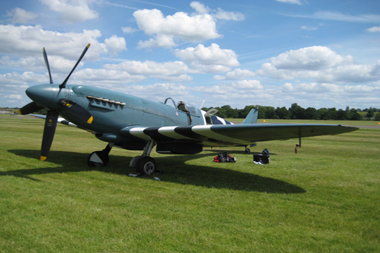 They are also used for the delivering and collection of pilots from air shows. 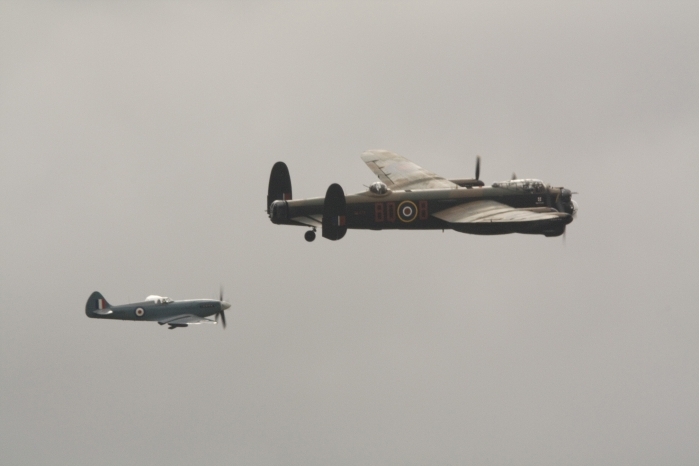 Both aircraft were built in 1952 and had long careers in the training role before joining the BBMF. 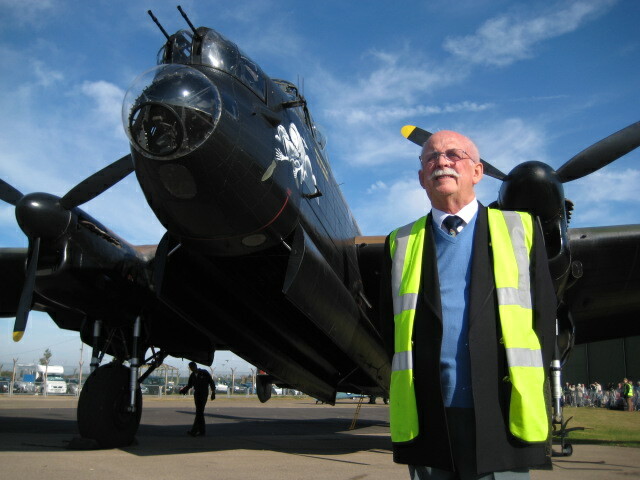 Squadron Leader Ian Smith took over the command of The Battle of Britain Memorial Flight on Thursday 5th November 2009. 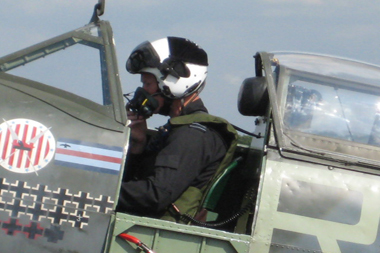 "Smithy" as he is known joined the RAF in 1983. 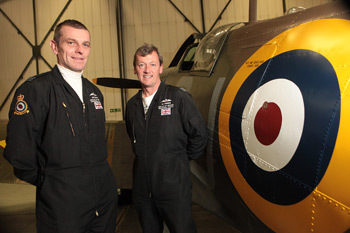 He has flown Chinook helicopters, Jaguars and been a member of The Red Arrows. 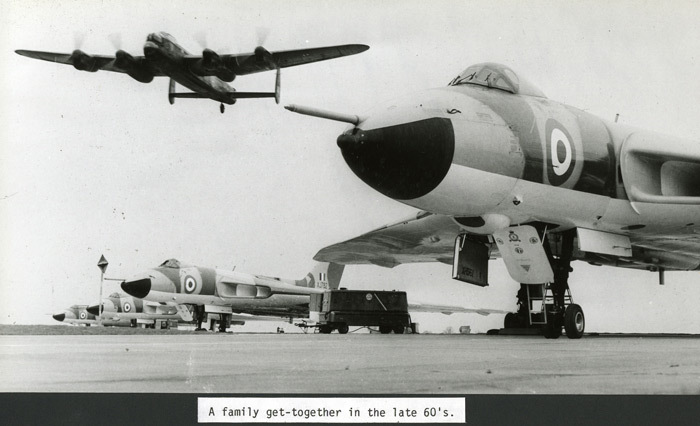 Also spending time in Saudi Arabia as team manager to The Saudi Hawks Aerobatic Team, returning back to the UK in time for the retirement of the last Jaguar Squadron at RAF Coningsby. 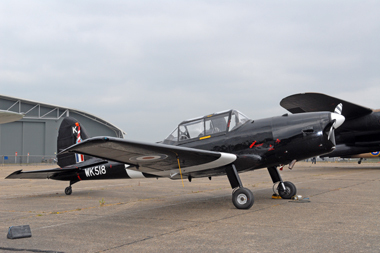 His last posting was to RAF Cranwell where he commanded 16 (R) Flying Training Squadron, flying the Grob Tutor. 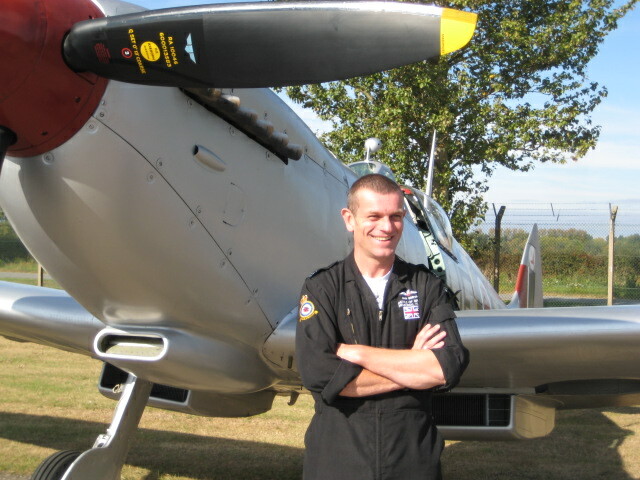 Smithy has flown with the BBMF for the last four years as a volunteer fighter pilot, and was picked as the replacement for Squadron Leader Al Pinner some time back. 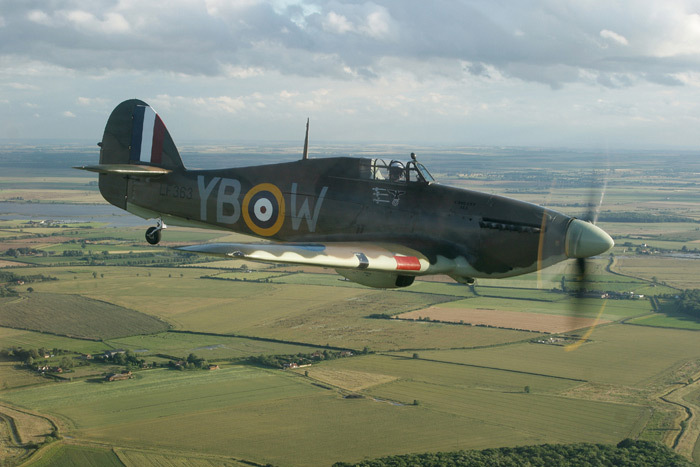 2010 is going to be a busy year for the BBMF celebrating the 70th anniversary of the greatest air battle known to man, The Battle of Britain. 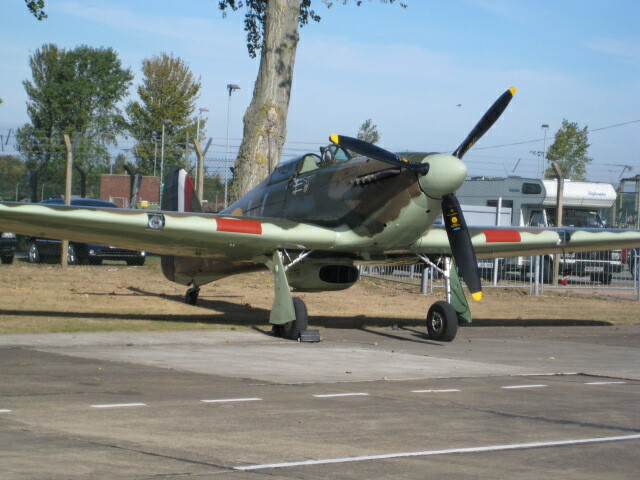 The Battle of Britain Memorial Flight hosts one of the last aviation events of the year, which this year (2009) was attended by over 2000 members of the LLA (Lincs-Lancs Association). 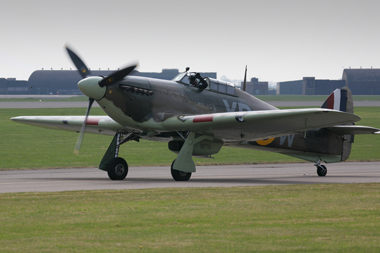 The majority of the BBMF (Battle of Britain Memorial Flight) aircraft were positioned out on the apron giving wonderful photo opportunities. 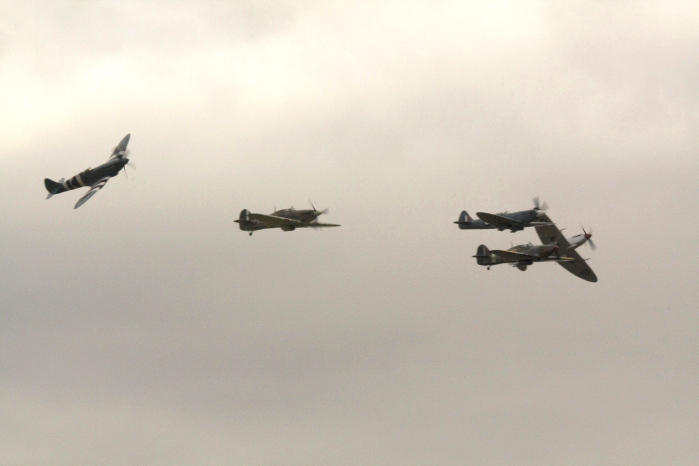 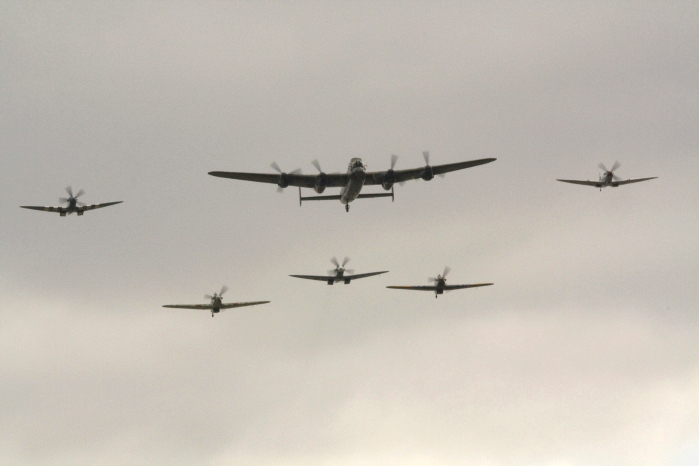 The Lancaster, Dakota, two Hurricanes and three Spitfires all flew later in the day. 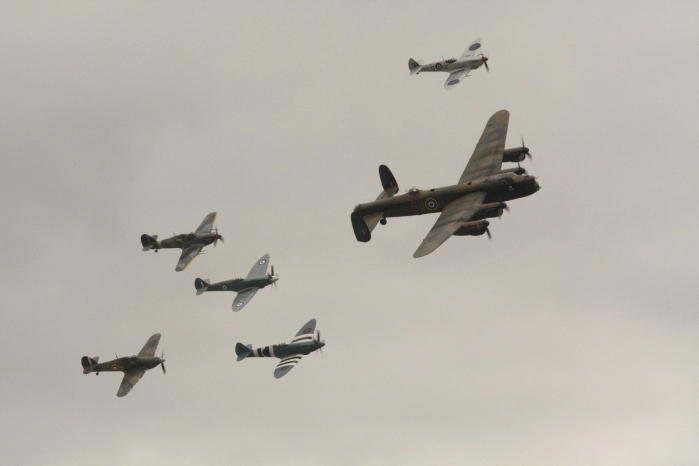 Flypasts carried out by the aircraft included tail-chasing with two Spitfires and Hurricane, a formation of all the aircraft together and the Lancaster, followed by a Mk 19 Spitfire flown by Squadron Leader Al Pinner who carried out a stunning display as the Lancaster landed. 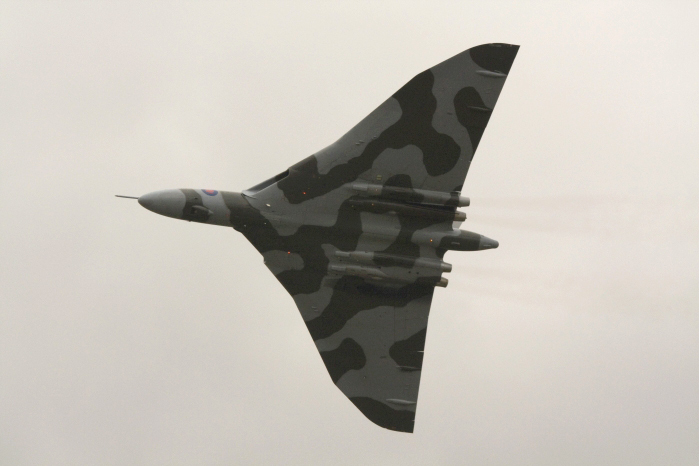 Later on everyone was treated to an appearance by the only airworthy Vulcan, which carried out several flypasts to finish the show. 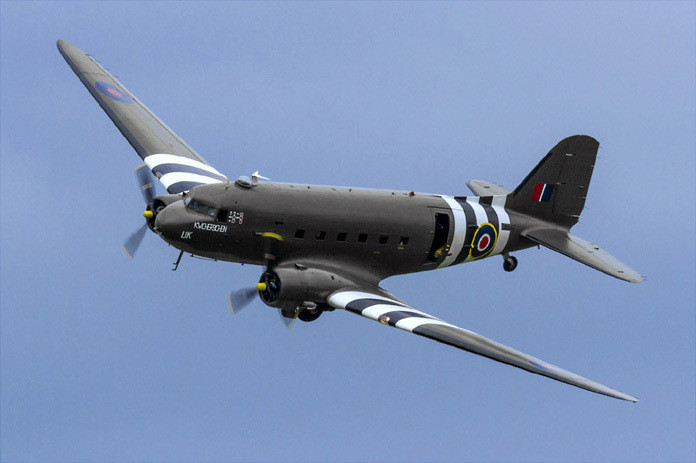 The LLA day is a fantastic opportunity to meet the aircraft at close quarters and mix with the air and grounds crews and other staff as well as meet WWII veterans who flew and operated some of these fine aircraft types. 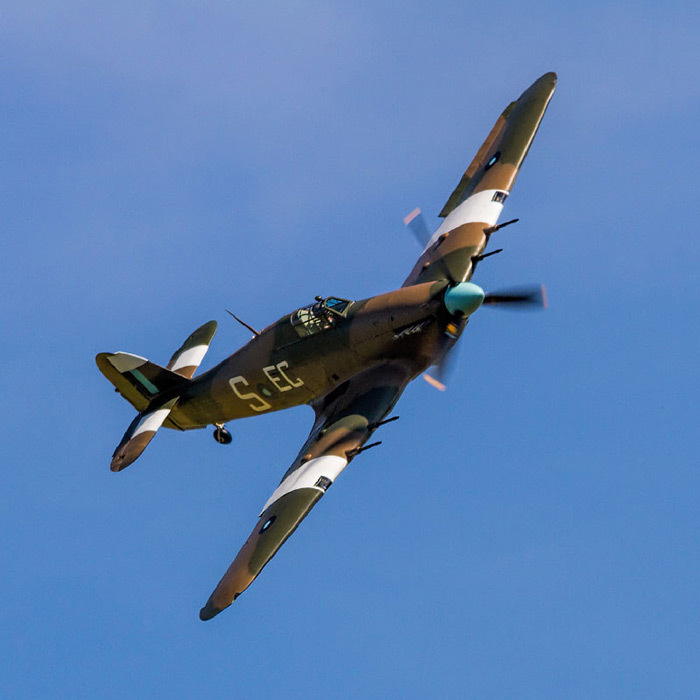 A fantastic day out with the opportunity to see and hear a collection of vintage aircraft, lovingly flown and maintained by a dedicated team of people. 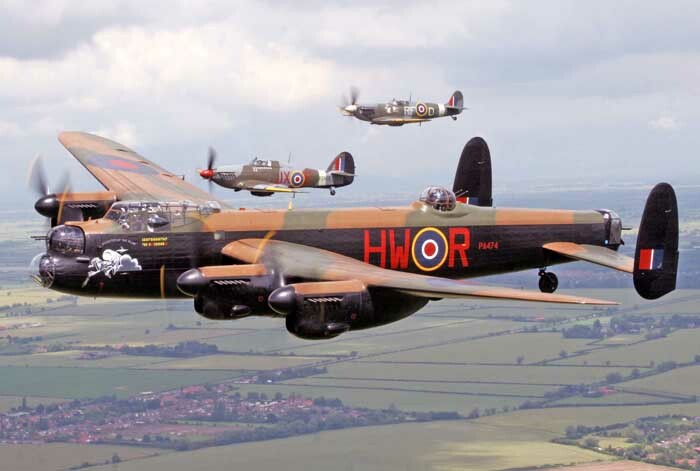 The last major event of the season for The Battle of Britain Memorial Flight is the Lincolnshire Lancaster Association Display at RAF Coningsby. 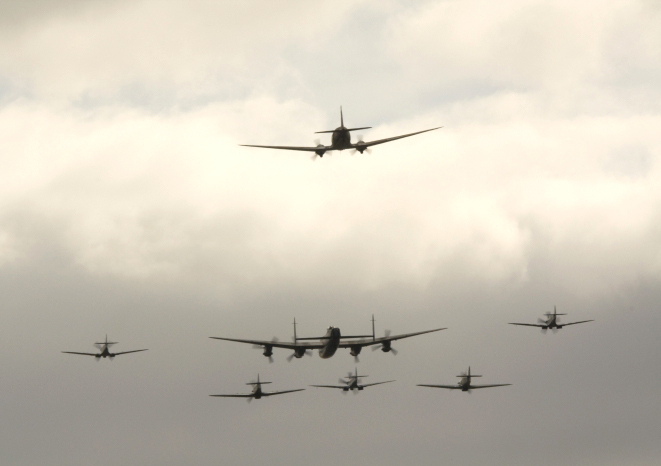 It is a spirited display with most of the flight's aircraft taking part. 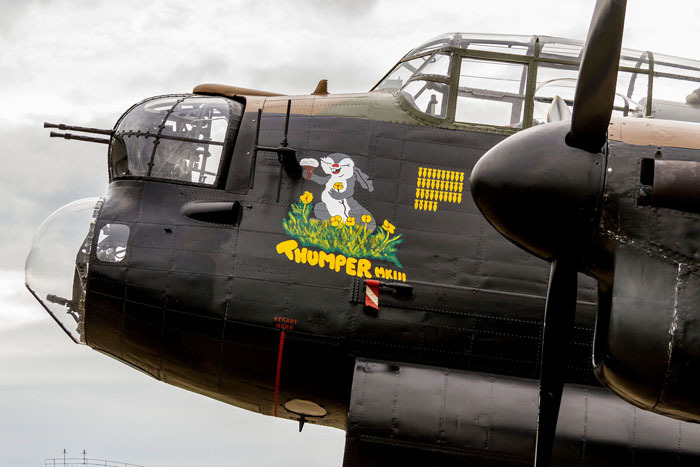 Soon after this event the aircraft (which are staying at Coningsby) are parked in the BBMF's hangar for the winter, where they will undergo deep servicing and repairs over the next few months ready for another busy season next year.